Okay, okay, okay… so this isn’t exactly the most inexpensive dressing in the world, but it sure does taste like the most expensive one! This stuff is hella good and it’s all fresh so I know that it’s worth the few extra pennies to many of you. Plus, I over paid for my ginger (and half ended up being rotten inside – grrr!). This makes about 1.25 cups and I figured you’d want about 1/4 cup per serving. That means there are about five servings per batch, which is probably a good thing because you don’t want to keep this dressing fore more than about a week in your refrigerator. It’s got fresh ingredients, remember? But I’d be surprised if it lasts you that long. It’s so good that I kept slurping it off a spoon. I was… uh… taste testing it. Yeah. Instead of adding actual sesame seeds to this, I used tahini, which is pureed sesame seeds. 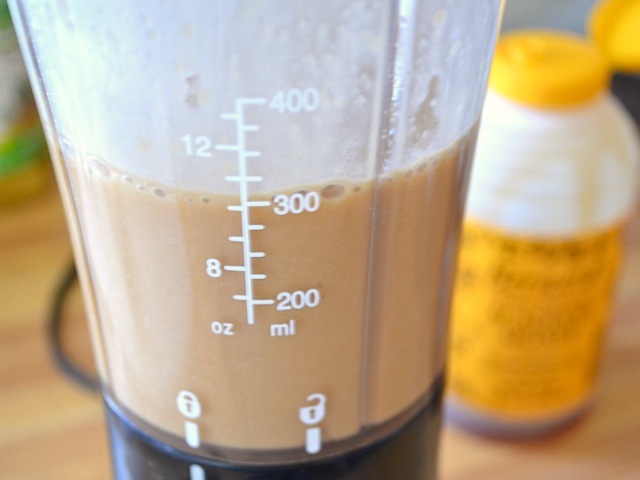 Tahini not only gives a great sesame flavor but it acts as an emulsifier and helps keep the dressing from separating. I found that it separated a little after a long while but all it needed was a quick swirl to remix everything. The small amount of toasted sesame oil also provided a lot of flavor. If you don’t have this magical ingredient, I highly suggest it. You only needs a touch to amp up the flavor a lot. You can buy toasted sesame oil in most grocery stores in the Asian section. It might not always say “toasted” but you can tell it is because of the dark brown color. 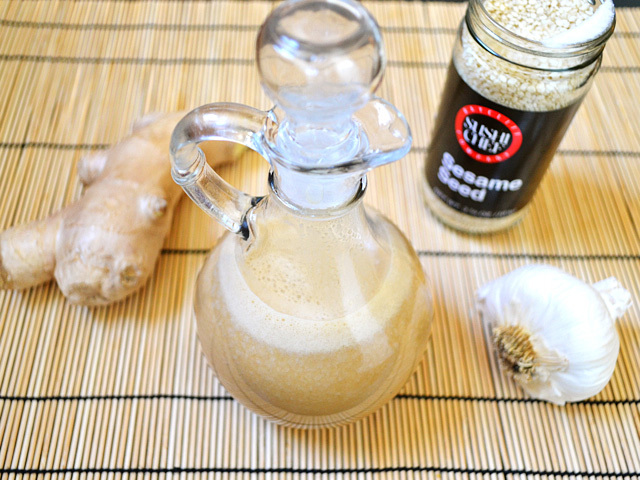 Soy sauce, honey, fresh ginger, and sesame oil provide big flavor in this homemade Sesame Ginger Dressing. Peel the garlic and ginger. 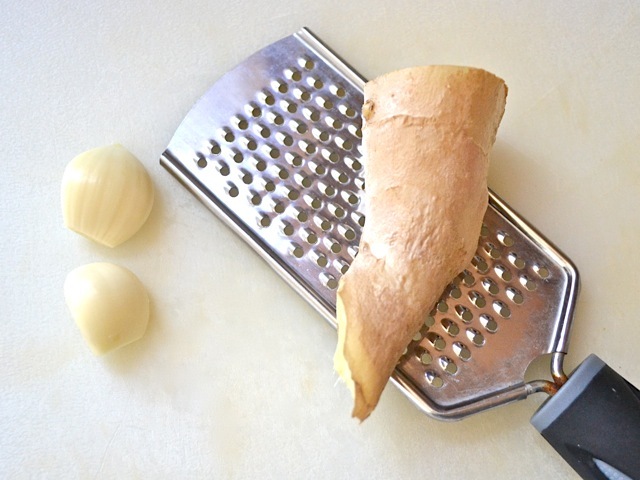 Grate the ginger across a small holed cheese grater straight into a blender to catch the juices (the garlic can go in whole). Add all of the rest of the ingredients to the blender. Blend the mixture until smooth. Taste and adjust the salt by adding more soy sauce, the sweetness by adding more honey, or the acidity by adding more vinegar. Refrigerate until ready to eat. Keep refrigerated for up to one week. These four ingredients are the “bulk” of the dressing. 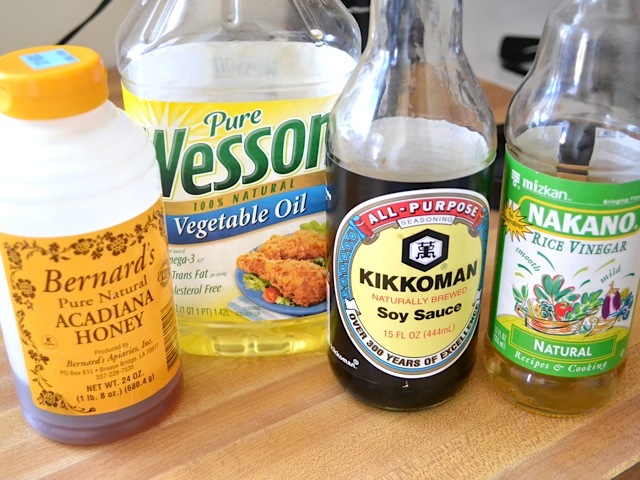 Each ingredient is a staple in my pantry and each one lasts a long time so they’re worth the buy – especially the rice vinegar. Add the rest of the ingredients to the blender. I used my small smoothie blender since I was only making a cup or so of dressing. Blend until smooth and there are no large chunks of garlic left. This is the sesame oil that I used. You can tell it’s toasted sesame oil by the dark color. 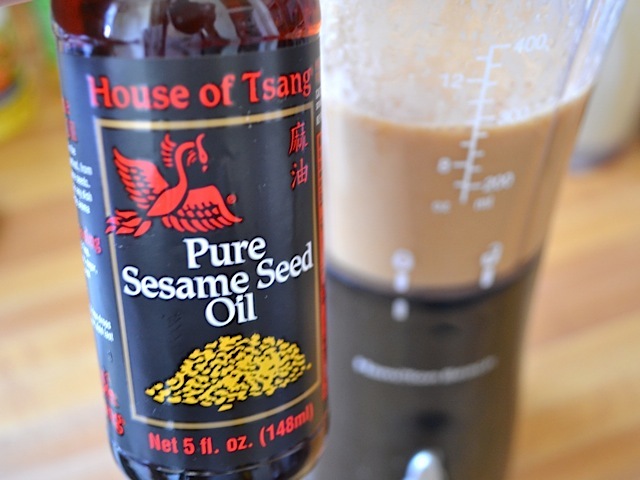 Regular sesame oil is very mild while toasted is *very strong*. You may even want to wait and add this last so that you can start with a little bit and add more to your liking. And then it’s done! 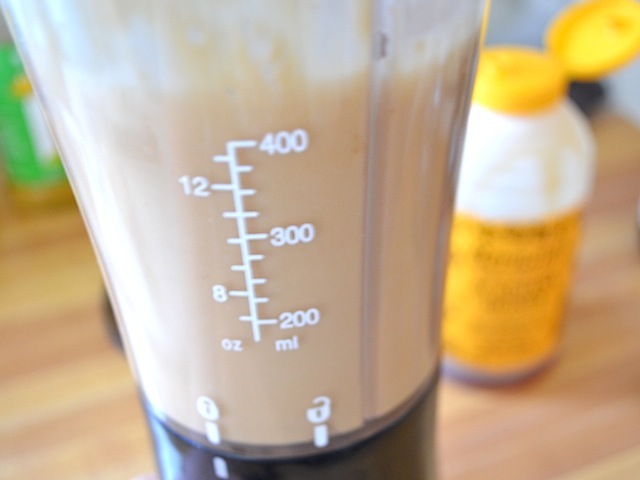 It makes about 1.25 cups, or 10 fluid ounces. I might have drank this straight out of the blender…. I have ginger paste in a tube . 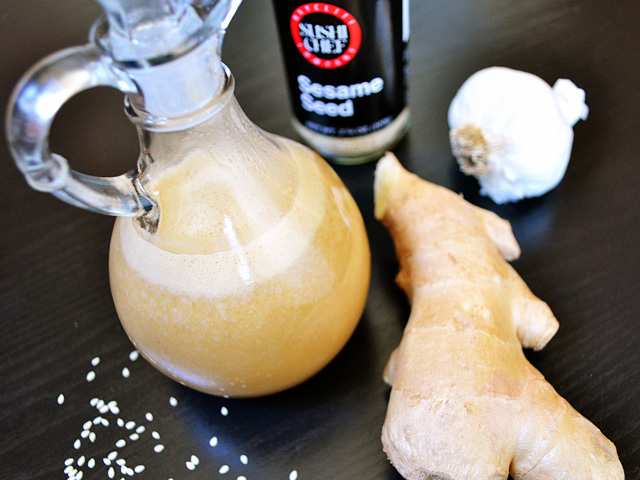 1 tablespoon of paste equals 1 tablespoon of grated ginger. What is the measurement of ginger for this receipe? It’s hard to say exactly, I would go for 1.5 to 2 Tbsp. You can always add more if you want a stronger flavor. first time I made this it was perfect. Second time was super thick! I don’t know where I went wrong! Flavour is still bang on. Any advice for thinning it out? Was it cold when it was thick, by any chance? This one does thicken up quite a bit when cold. I’m not sure you could add anything to adjust the viscosity without also changing the flavor, unfortunately. 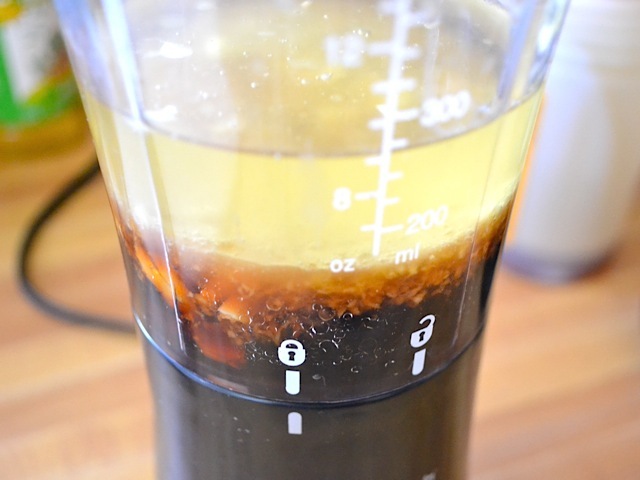 You may be able to add a tad more oil, but any significant amount will probably dilute the flavor. Delicious! Using it for a cabbage carrot salad. The balance of ingredients is always spot-on with your recipes!